Nginx is a high performance web server. It also can be used as a reverse proxy. 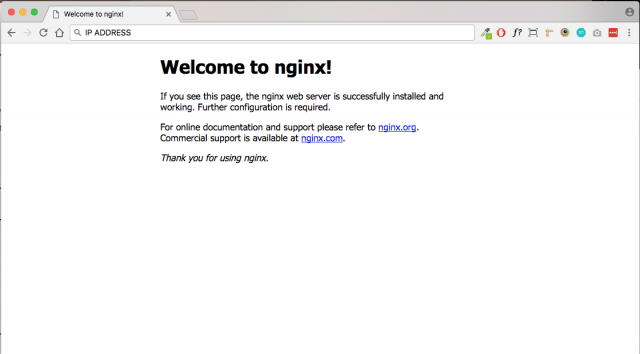 Enter this command to install Nginx Web server. enabled indicates that auto start at boot time is enabled and we can see that Nginx is running. Now in your browser’s address bar, type the public IP address of Ubuntu 16.04 LTS server. You should see the “Welcome to nginx!” Web page which means Nginx Web server is running correctly. Finally, we need to make www-data (Nginx user) as the owner of web root directory. MariaDB is a drop-in replacement for MySQL. It is developed by former members of MySQL team who concerned that Oracle might turn MySQL into a closed-source product. Many Linux distributions (Arch Linux, Fedora etc), companies and organizations (Google, Wikipedia) have migrated to MariaDB. So we’re going to install MariaDB instead of MySQL. After it’s installed, MariaDB server should be automatically started. Use systemctl to check its status. Remove the default symlink in sites-enabled directory. Then create a new default server block file under /etc/nginx/conf.d/ directory. 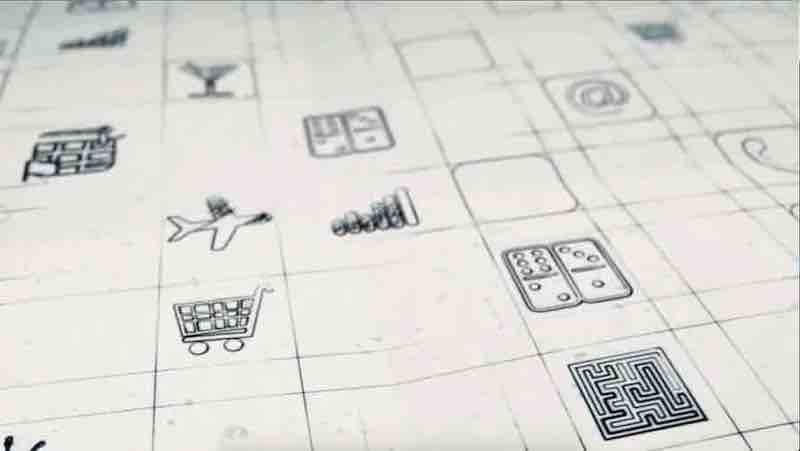 Paste the following text into the file. Replace 12.34.56.78 with your actual server IP. Save and close the file. 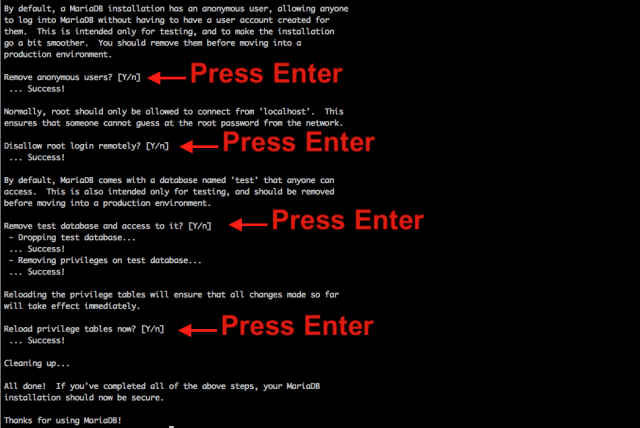 Then test nginx configuration and reload it. To test PHP-FPM, first create a<code> test.php</code> file in the Web root directory. Save and close the file. Now in the browser address bar, enter server-ip-address/test.php. Replace server-ip-address with your actual IP. You should see your server’s PHP information. This means PHP processing is fine. PHP7.2 is the latest stable version of PHP, released on November 30, 2017 and it has minor performance boost over PHP7.0. 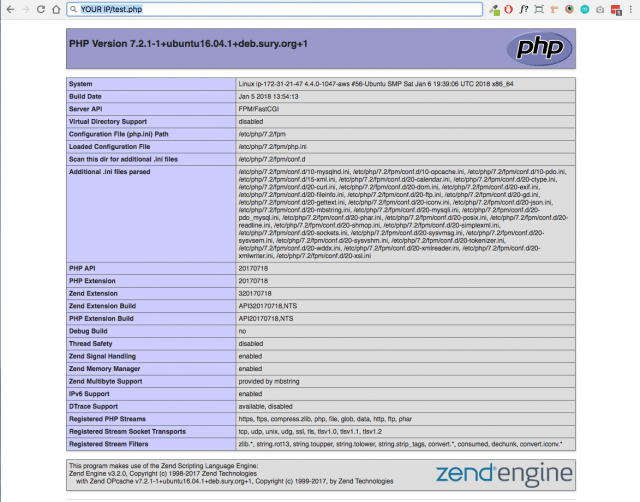 We can add the PPA from Ondrej Sury to install PHP7.2 on Ubuntu 17.10. That guy is also the maintainer of Certbot PPA. 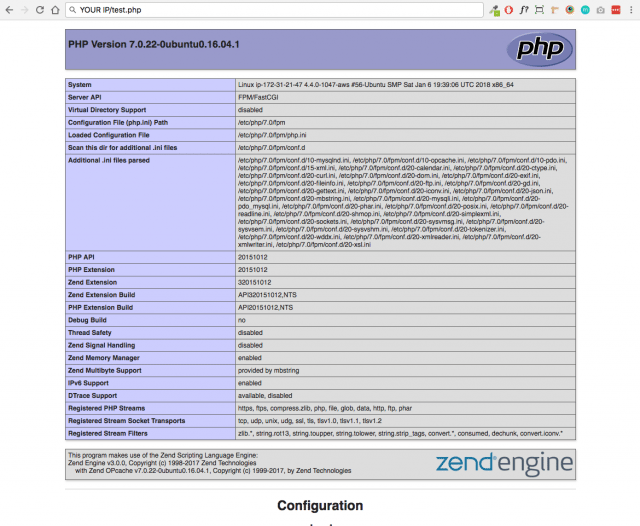 Then we can install PHP7.2 and common extensions by using the following command. Enable auto-start at system boot time. To make Nginx use PHP7.2-FPM instead of PHP7.0-FPM, we need to edit the Nginx server block file. Save and close the file. Then reload Nginx for the change to take effect. If you refresh the server-ip-address/info.php page, you will see Nginx is now using PHP7.2-FPM. Congratulations you have successfully installed Nginx, MariaDB and PHP-7 & PHP-7.2 on Ubuntu 16.04 (AWS EC2). You may also want to instal phpmyadmin on server for managing MariaDB databases, please click on the link below and you will find the tutorial for it . How to install WordPress on Ubuntu 16.04. You may also be interested to know in how to add free SSL in your website .